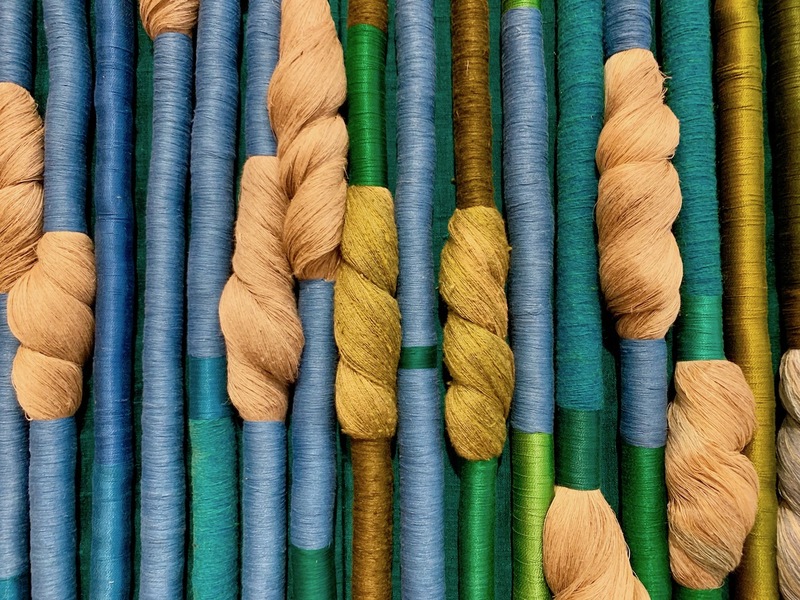 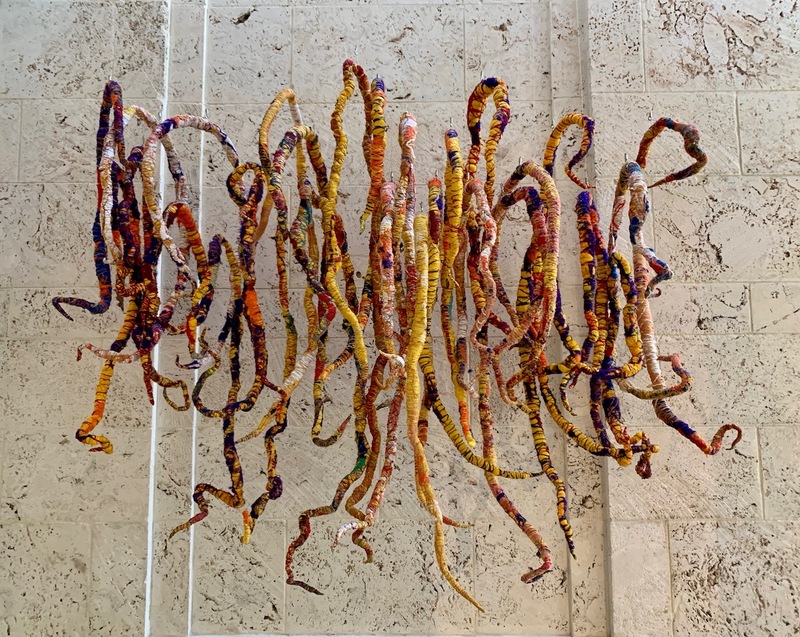 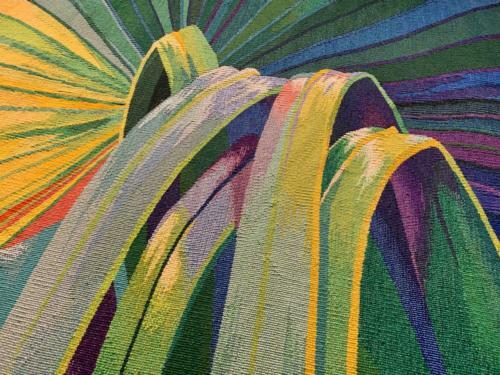 The magic of textile art by Sheila Hicks at The Bass Museum in Miami Beach. 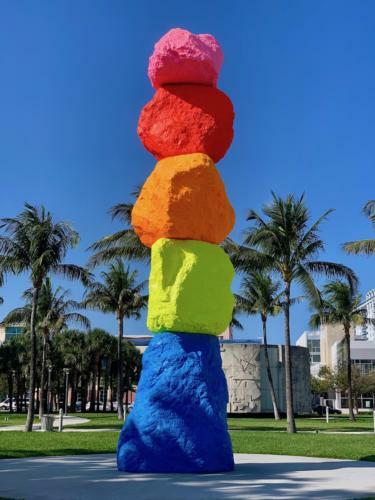 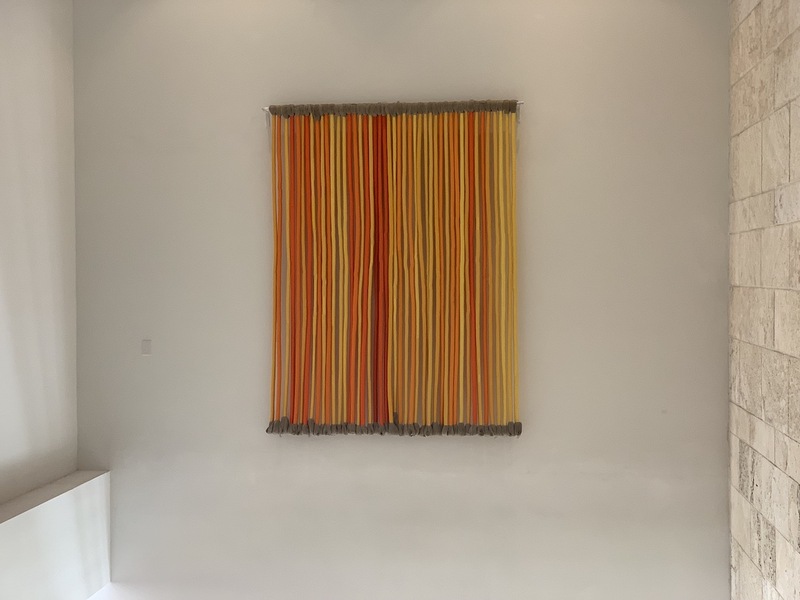 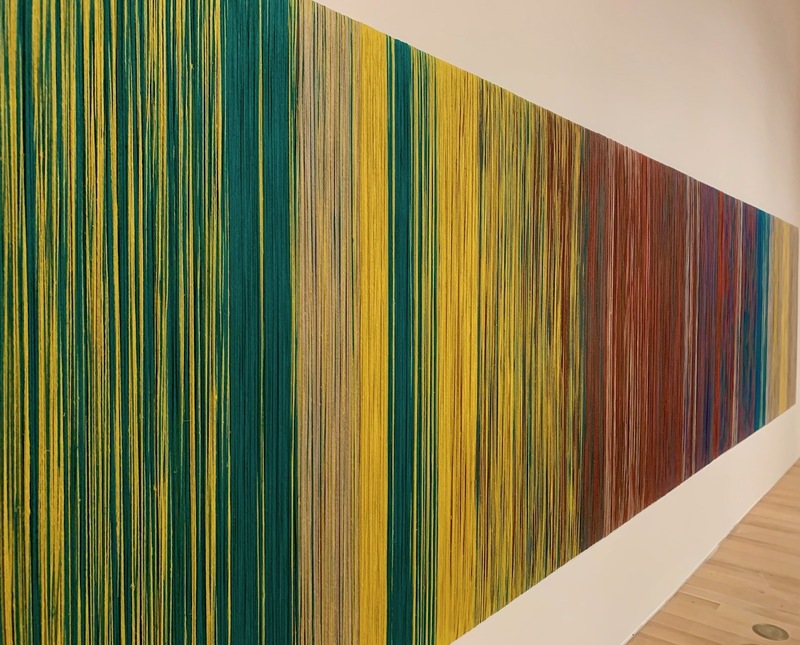 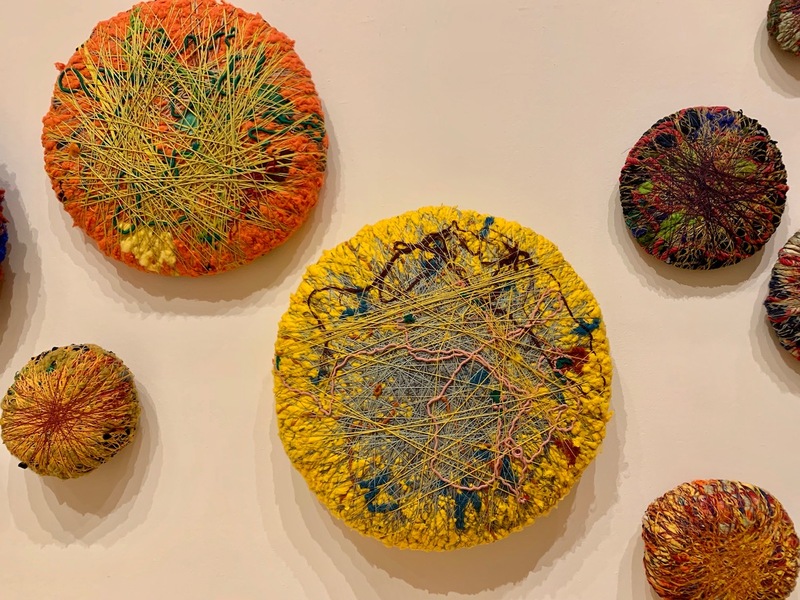 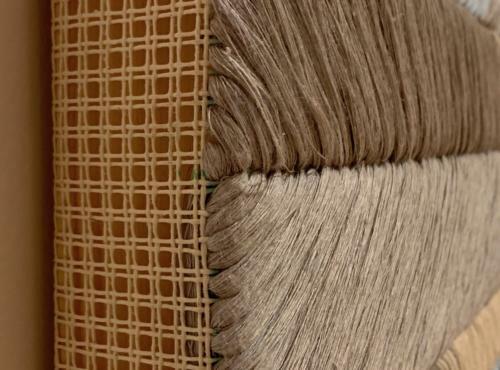 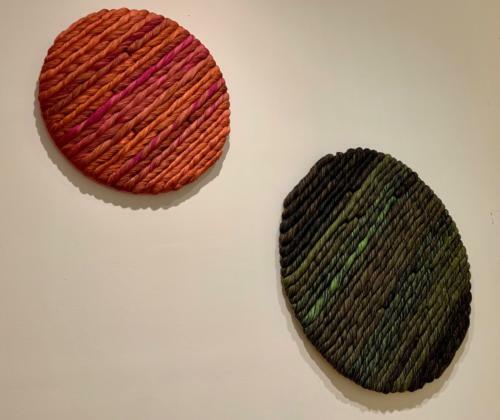 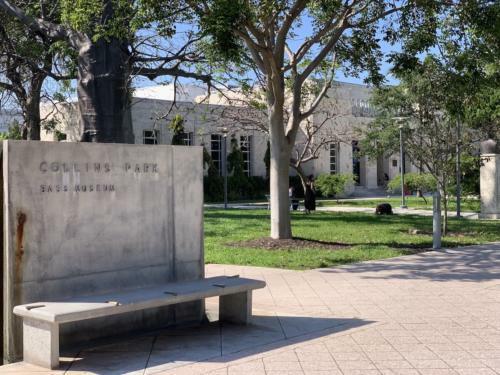 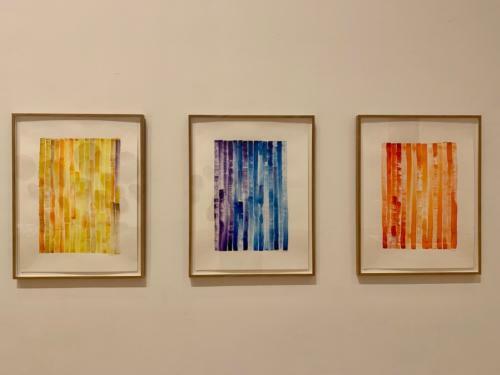 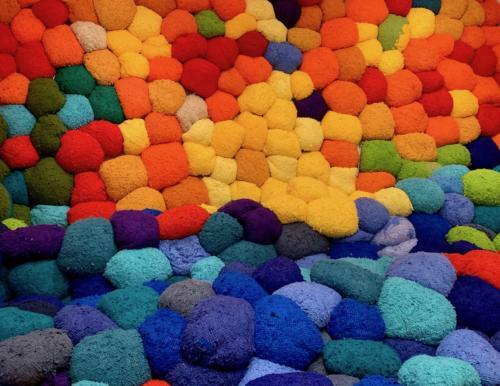 The Bass Museum of Contemporary Art in Miami Beach opens the exhibition of Sheila Hicks, Campo Abierto (Open Field) from April 13th to September 29th. 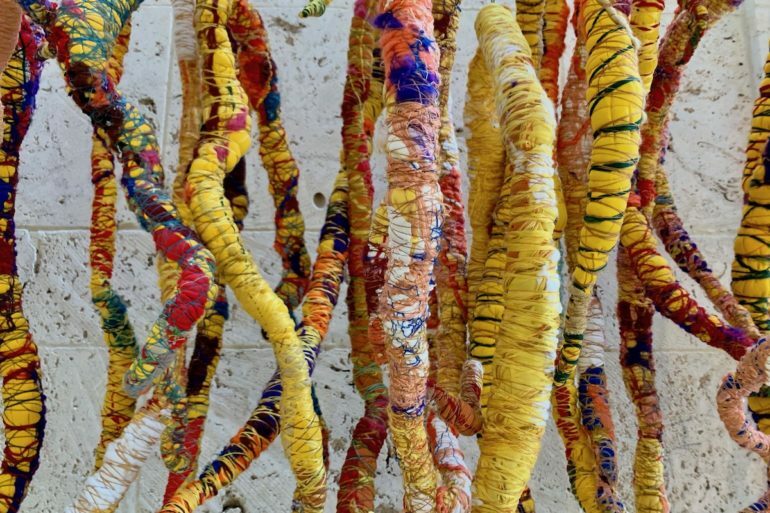 The exhibition is inspired by the reconfiguration of Escalade Beyond Chromatic Lands (2016-2017), the vast installation produced by the artist for the Arsenal at the Venice Biennale in 2017, through which her works have combined with architecture to merge physically in the old walls of the Arsenal, creating amazement among the visitors who witnessed the bursting of colored textile material between the cracks in the walls and in bales of color that seemed literally thrown out from the ceiling. 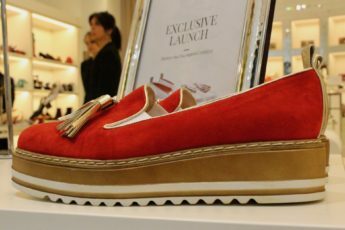 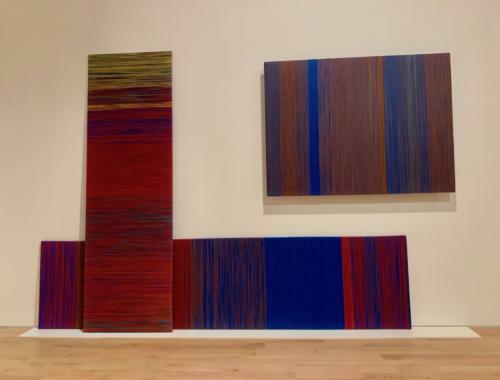 That at The Bass, after two years, is the most similar installation made since then. 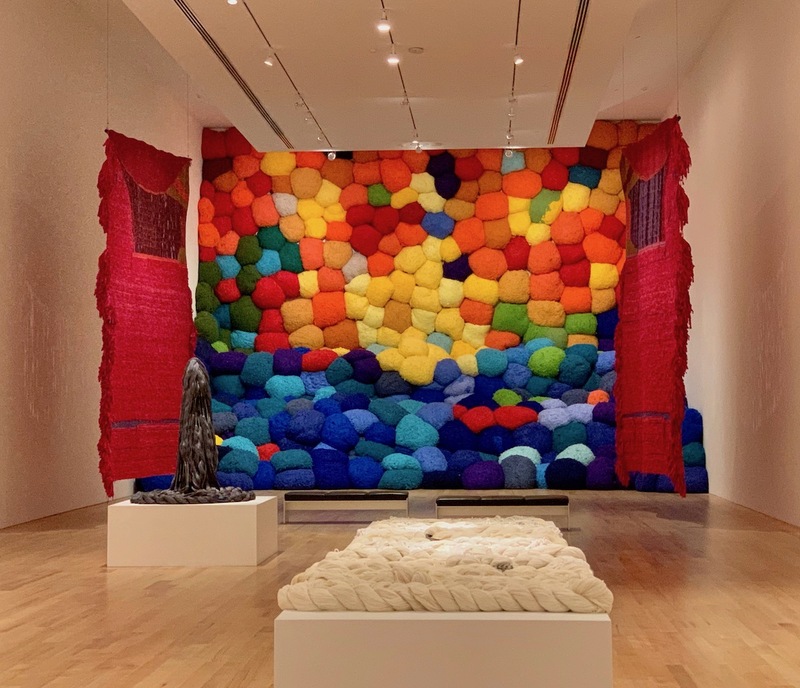 The intervention that Sheila Hicks performs on sites in which she intervenes and her way of playing with proportions and site-specific installations are incredible: In The Bass museum, works by Sheila Hicks, which include two- and three-dimensional textile works , break into the upper floor of the museum, transforming the building’s architecture into an unsettling assembly of colored fabrics wrapped and worked in absolutely non-canonical ways. 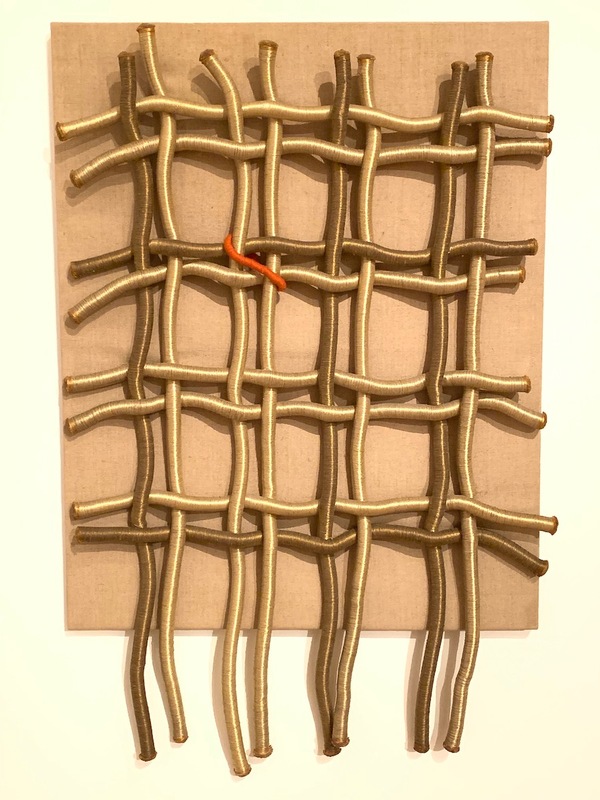 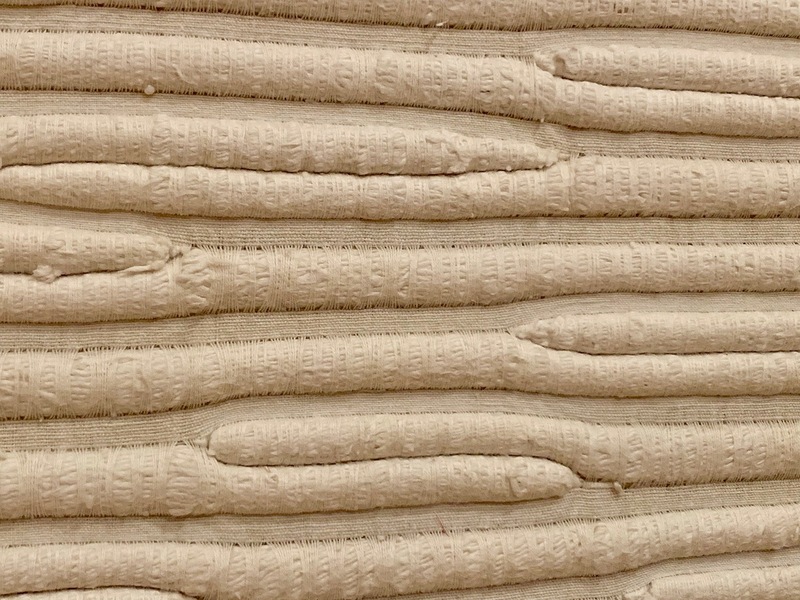 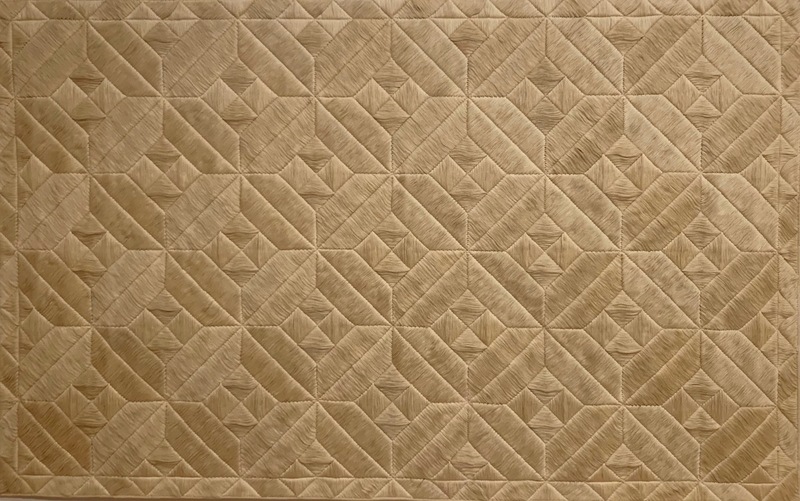 Sheila Hicks was born in Nebraska in 1934 and obtained her BFA and MFA at Yale University, where she became the pupil of spouses Josef and Anni Albers, both former professors of the Bauhaus. 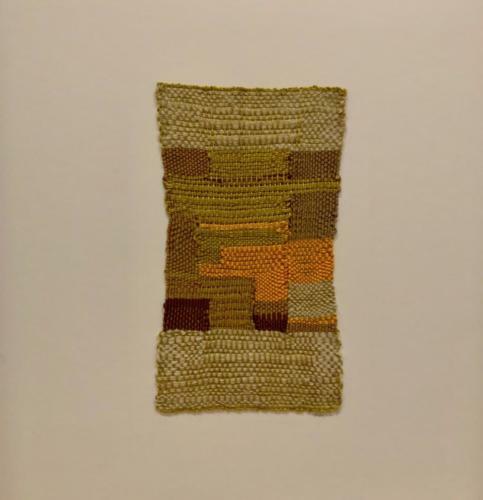 Both the elderly professor and his wife had great influence on her: him with his color theory, and the essay “Color Interaction” (1963) with which Hicks will study the physical factors and psychic effects that they derive from human perception; her, textile artist with the weakness for Peruvian textile art, who with the experiments based on imagination, algae, sand, branches, shells, even fish skeletons will encourage her to expand the scope of weaving with the use of materials and innovative methods. 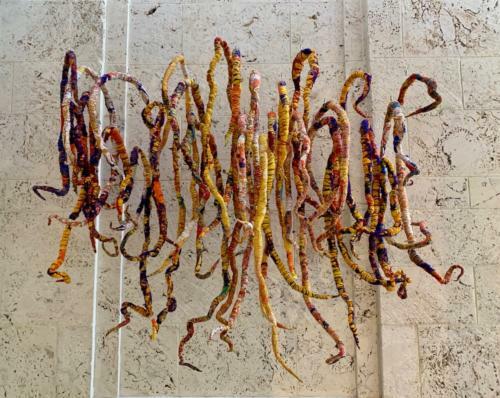 The fruit of the randomness of events or simple similitude, obtaining the Fulbright scholarship in 1958, will allow her to go and paint in Chile where she will develop interest in textile fibers that will lead her to travel to destinations scattered all over the world: Fascinated by local cultures, in fact, she will visit Mexico, where she will live for some years, Ireland, Germany, Saudi Arabia, Japan, South Africa, Morocco and India, and then back and forth between the two studios: the one in Paris where she moved in 1964 and the one in New York where she lives with her current third husband. 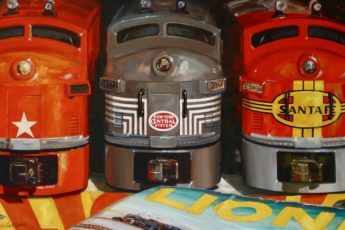 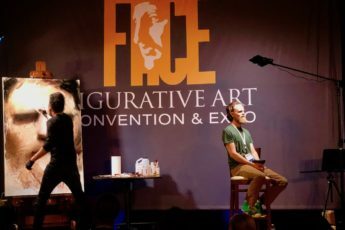 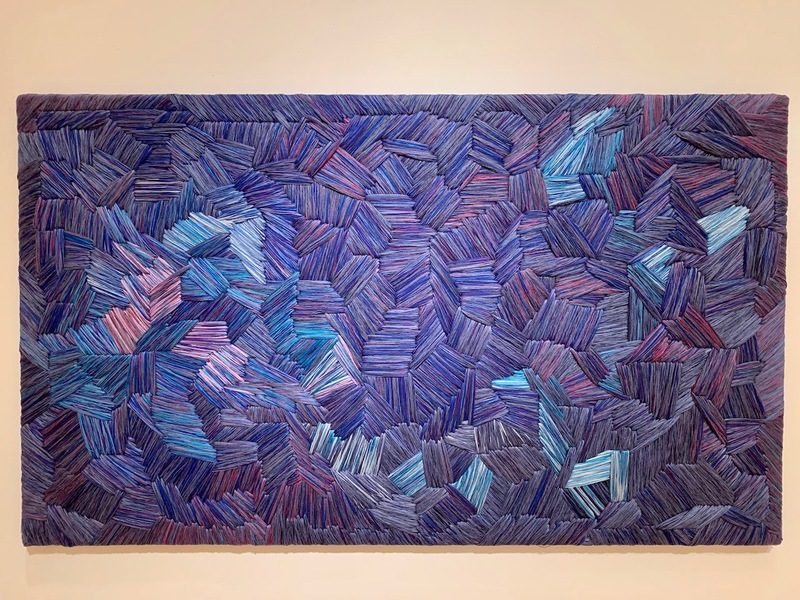 She has exhibited in many collective and personal exhibitions, including: the 2017 Venice Biennale, the 2014 Whitney Biennial in New York and the 2012 Sao Paulo Biennale in Brazil. 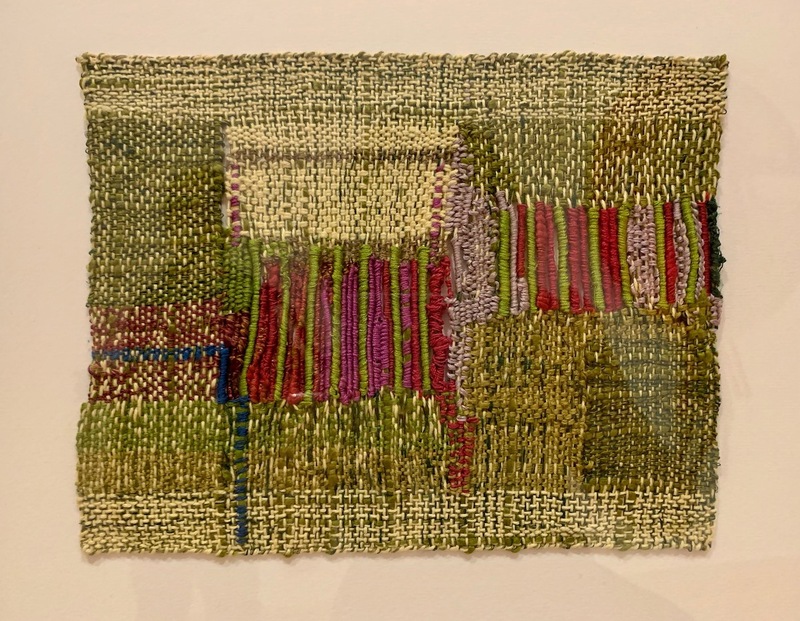 Recent solo presentations include: Lignes de Vie at the Pompidou Center, Paris (2018); Free threads 1954-2017, Museo Amparo, Mexico (2017); Pêcher dans La Rivière, Alison Jacques Gallery, London, United Kingdom (2013). 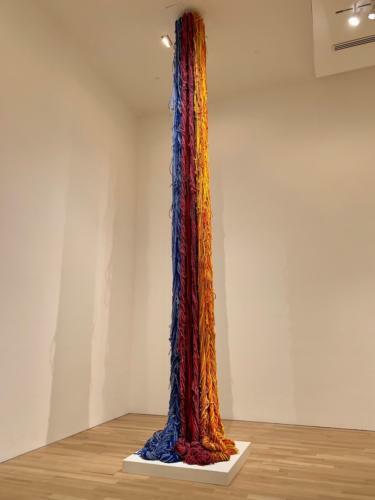 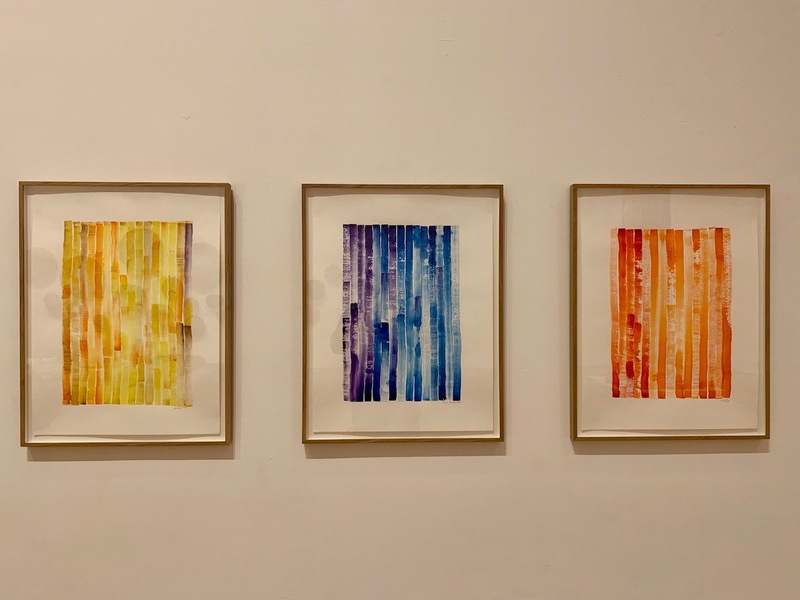 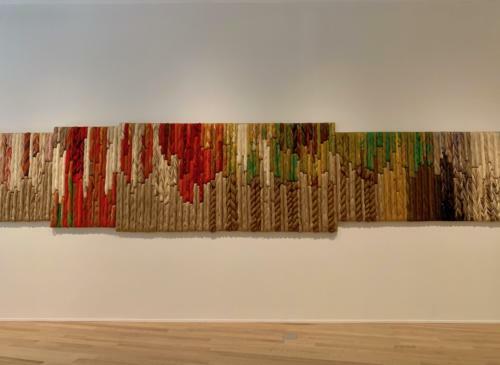 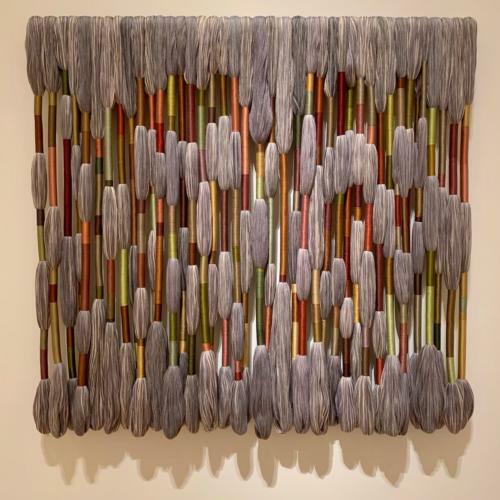 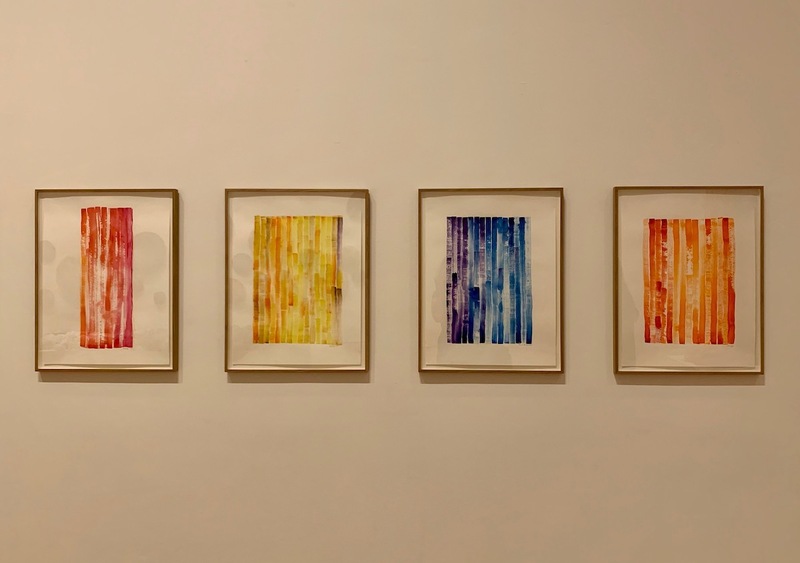 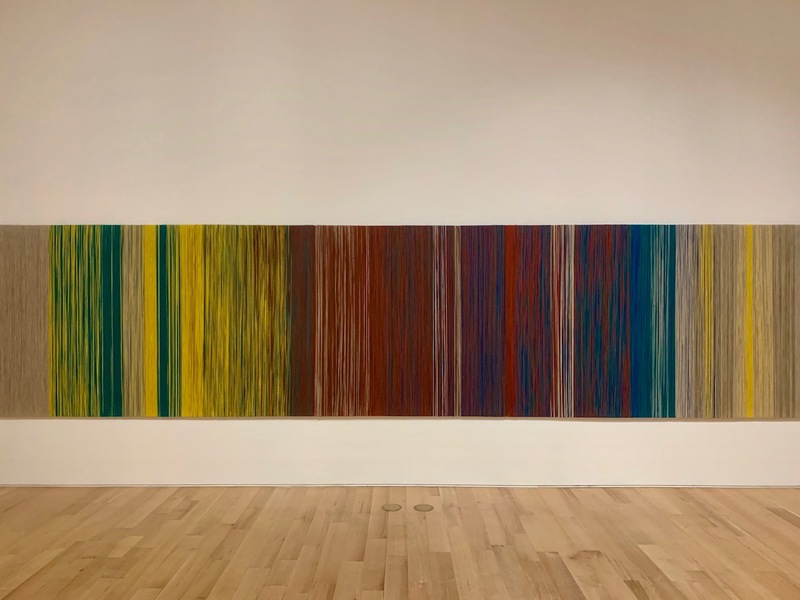 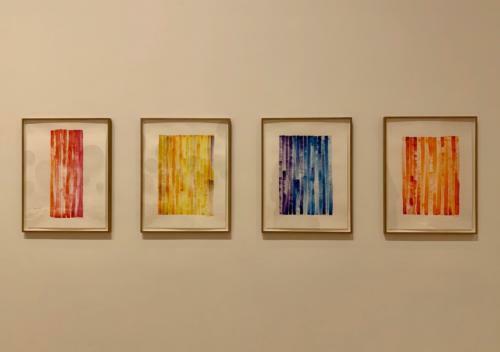 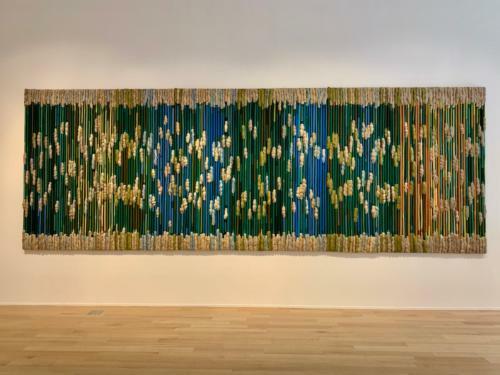 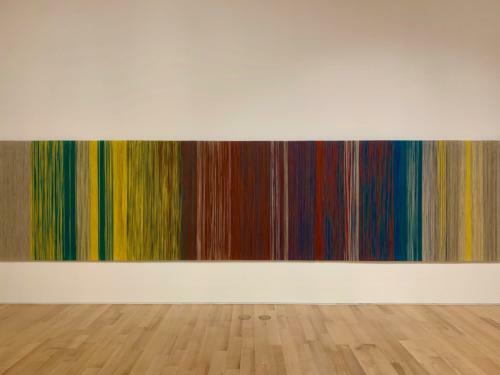 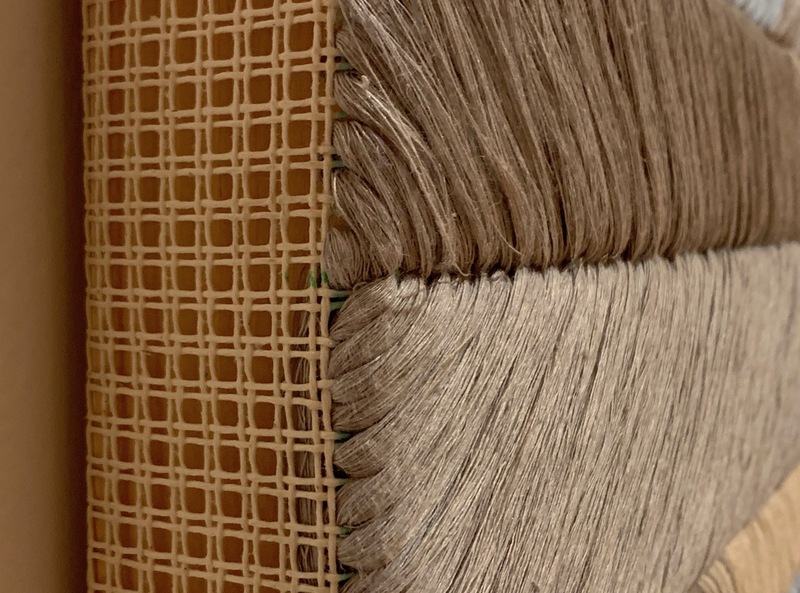 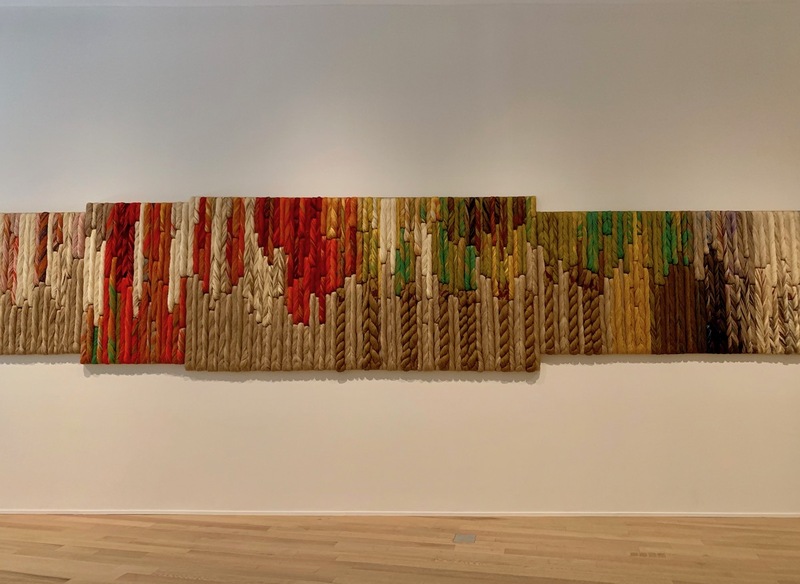 In 2010 a major retrospective of his work, Sheila Hicks: 50 Years, made her debut at the Addison Gallery of American Art and traveled to the Institute of Contemporary Art, Philadelphia and the Mint Museum in Charlotte, NC. 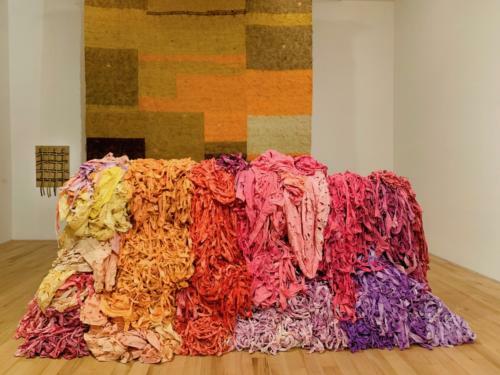 For Sheila Hicks the seductive power of colors is a driving force that is completed with the use of the most disparate materials that flank cotton, linen, silk, wool, cashmere, satin and raffia to objects of recovery found by chance, a strip of fabric, the fabrics that use the nurses, buttons and nylon threads rather than bamboo. The materials make up without distinction her creations be they sculptures, site-specific installations, textile designs for industrial creations, architectural commissions or miniatures, which in Sheila Hicks’ vocabulary are not the reduction of something but in a more general sense something smaller, who are able to highlight both the architecture as a whole and the installation that also has its own life. 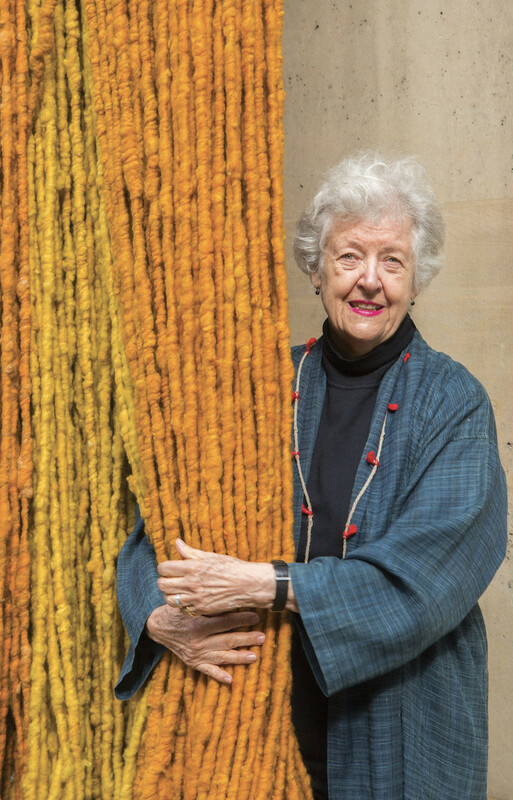 Sheila Hicks’ solo exhibition at the Bass Museum includes works composed since 1960: almost 60 years of work in which her art is highlighted as the ability to use traditional and artisan techniques to develop a practice that crosses artistic boundaries to overcome the barriers of what was supposed to be a work for the exclusive female prerogative of women who knitted while waiting for their husband to come home. 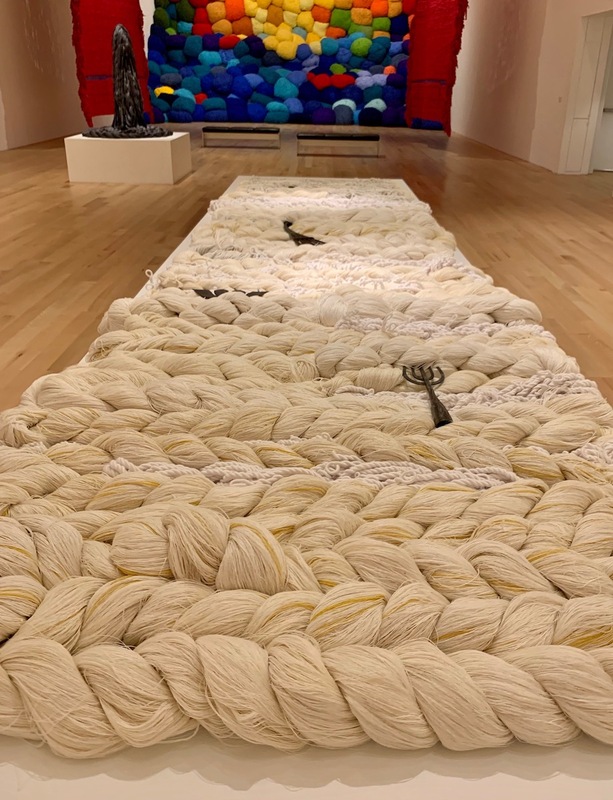 On display more or less recent works: from Racine de Culture (Roots of Culture) of 2018 in cotton, wool, linen silk, fibers and bamboo, which welcomes the viewer on the lower floor of the museum: a sort of welcome that vibrates in the air and whose title focuses on the commitment that the Bass Museum dispenses in favor of the multicultural integration of the city of Miami, a multilingual place where waves and complex immigration models move alongside environmental concerns. 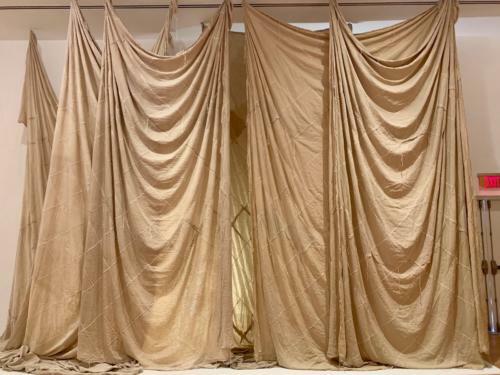 On the stairs, La Mémoire, from 1972, a frame in linen, silk and cotton, which accompanies the viewer to the first floor where sculptural works are set up, including Reprisage Répertoire, from 1977 in linen: three drapes assembled between cuts and dim light that highlights the workmanship and drapery. 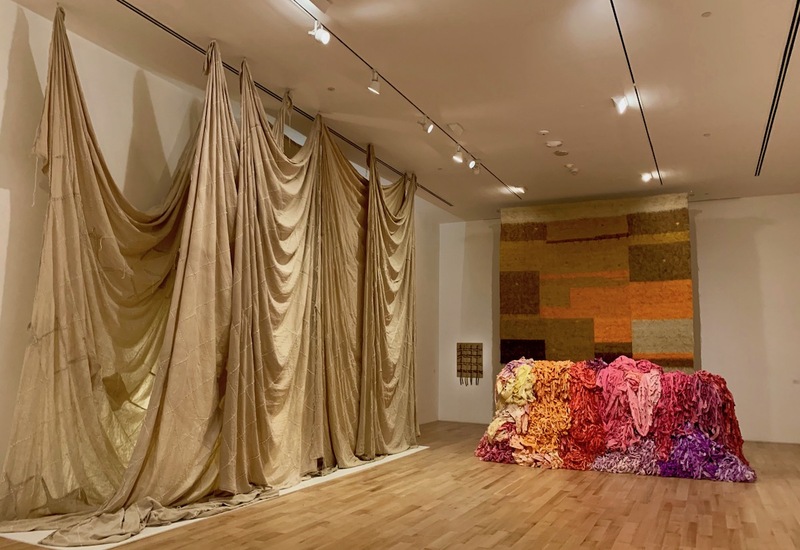 Gift of the artist, the work is kept at the Cleveland Museum and contrasts totally with the bright colors of Wow Bush / Turmoil in Full Bloom in 1977 in cotton, placed in front of Struggle to Surface in 2016, from weaving and linen embroidery and ramie. The majestic colors break into the large rooms and this is particularly the case with Escalade Beyond Chromatic Lands, proposed at the Venice Biennale in 2017, and made up of bales of natural and synthetic color, which expand into the room between two red tapestries interspersed with a rectangle and a dark strip, equal and symmetrical; the color column Questioning Column, in 2016 in pure pigment and acrylic is composed of tangled strands of fabric that highlight the heights of the spaces, Varmayana (The Place of Shining Light) is instead a work of 2018 which consists of 31 elements of variable diameter as well as from different materials: linen, cotton, wool, nylon, acrylic, sisal (deriving from the Mexican agave), silk and synthetic fibers: of variable diameter and different colors that set up the wall as if to make points , ideas in movement that take shape and color joining a variety of materials whose preparation required the construction of works with chromatic scales on watercolor, visible at the exhibition framed in paintings. It is called the Moroccan Prayer Rug / Nejjai, 1972 the large natural wool rug from 1972 that occupies the entire wall of the room and recalls the colors of Morocco, while the Palm work, a traditional rug, from 1984-1985, in wool, cotton, satin, silk and linen is a tribute to tropical lands. 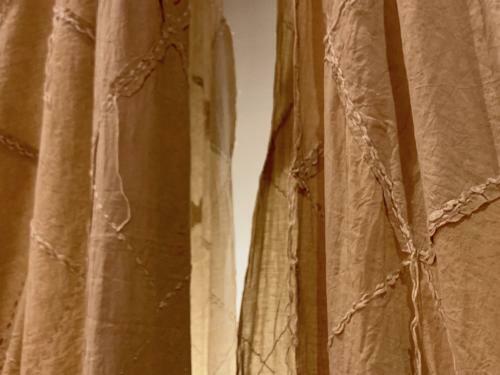 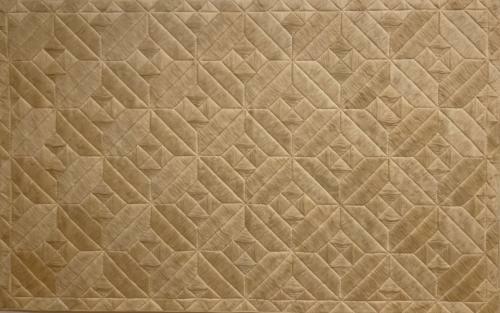 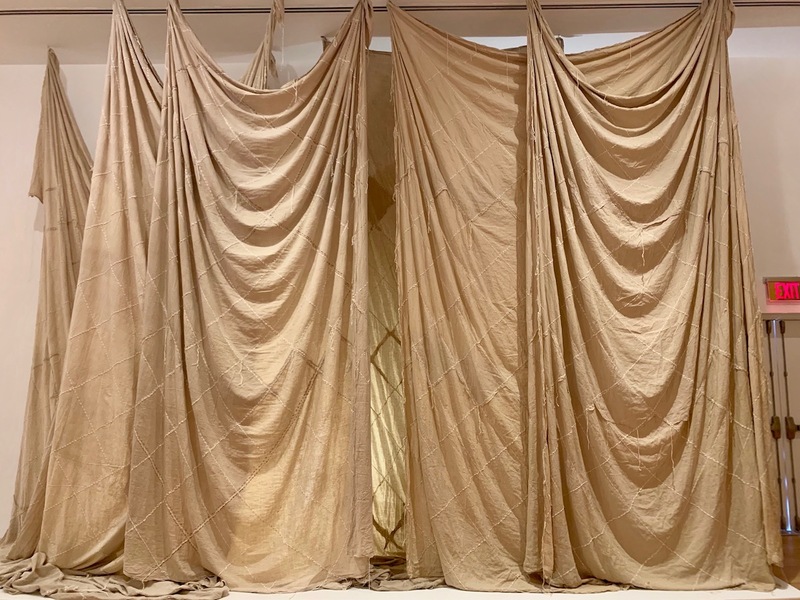 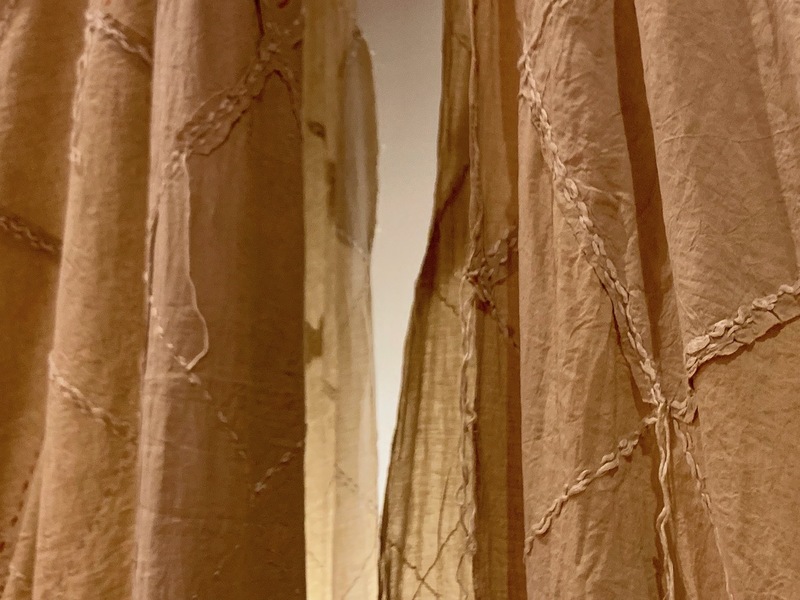 The work on the white Badagara of 1966, in bleached and embroidered cotton fabric in Kozikodi (India), is a full-bodied and refined embroidery, displayed alongside other works on the white: 1988 Grand Kaleidoscope in linen and cotton, Silencio of 2016, in linen and wool and the recent Entourer from 2019, in linen. Many works on commission carried out for private individuals and kindly made available for the exhibition: 2009 Seal Beach in linen, which is part of the Dragonfly series, belonging to Sikkema Jenkins & Co. of New York the work is in the tones of blue, and was composed celebrating the colors of Malibu, with its sea and dolphins; the Sunrise rounds of 1989 in linen and synthetic fever on shades of red, owned by the Melvin Bedrick Collection of New York and After the Rain of 2013 courtesy of the Frank Elbaz Gallery, of Paris and Dallas. 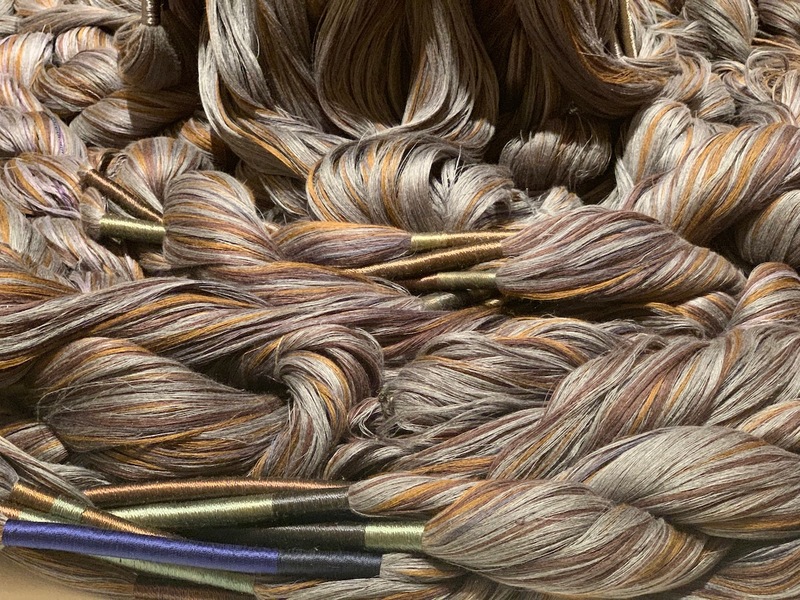 The curious Labyrinth in linen and cotton from the Malvin Bedrick collection in New York and the more complex and abstract Labyrinth of Communication, from 1991 in linen, silk, wool, cotton, Linen, silk, wool, cotton, and wrapped wire, lent by the Minneapolis Institute of Art, gift of the artist and Target Corporation. 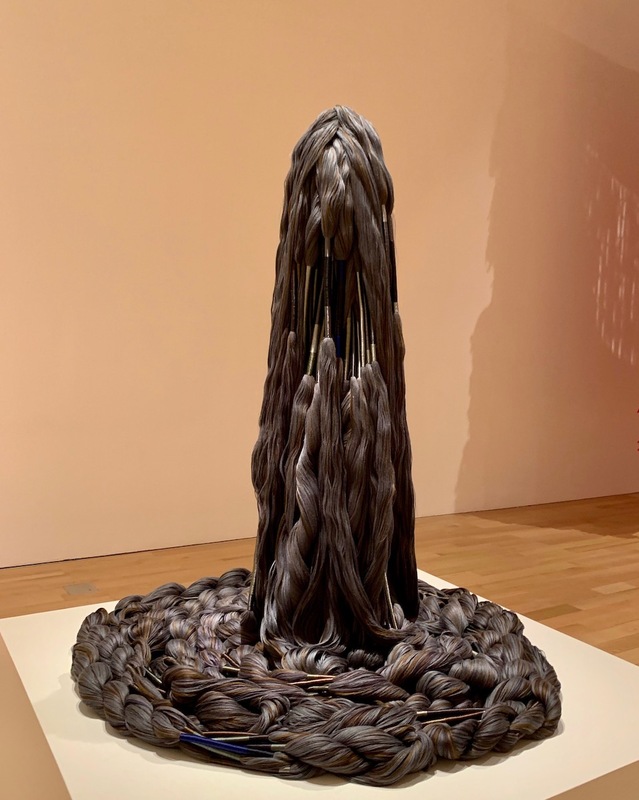 In addition to these large and medium-sized works, the sculpture: Menhir, from 1998-2004 composed of linen, cotton and stainless steel, played on the shades of anthracite and Pêcher dans la Rivière of 1989-2013, in linen, is an evocation the whose motion of the flowing water is played by the interweaving of braids in shades of white that perfectly render the sense of the flow of water while inside there are original tools for fishing from the 1700s. 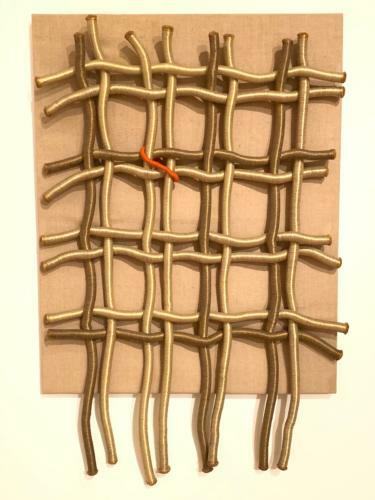 Among the small works on display , composed on its ubiquitous frame, which leads everywhere, even by plane, and represents for her both a creative moment and a method of relaxation: Cour de Rohan Autumn, in linen, cotton, wool and twigs; La Folié en la liberté, in cotton, linen, wool and silk; Fortuitous Meeting, in wool, linen, cotton, and porcupine quills, all composed in 2018 and Struggle to Surface, in cotton and linen composed in 2015. 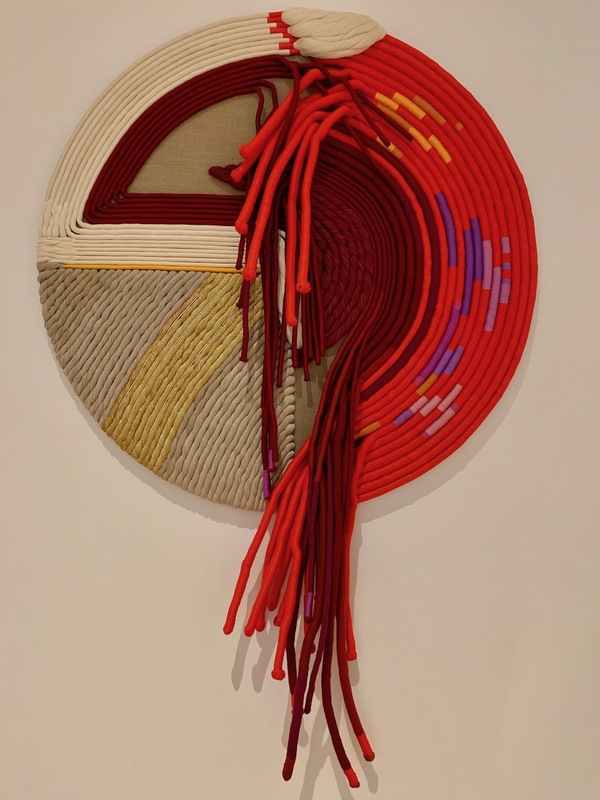 The visitor can only enter between the spaces of the Bass and let himself be conquered by the bande de couleur and by the aura that the same colors unleash in a unique way of weaving together non-Western traditions with modernist forms, Bauhaus heritage and non-conformist aspects, making balanced work by Sheila Hicks halfway between applied arts and contemporary art.